October is Canadian Autism Awareness and Acceptance month. 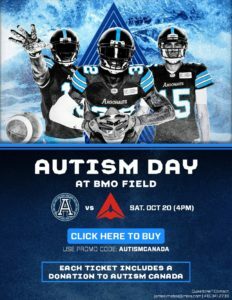 What better way to show your support than to bring your family, friends, colleagues and supporters out to the Argos Autism Day on Saturday October 20th. Each discounted ticket purchased includes a donation to Autism Canada. Click here to get yours today! Knowing how difficult it can be for people on the spectrum to enjoy large venue events, the Argos are making a special effort to accommodate those with special needs. They will be supplying ear plugs, sunglasses and even quiet spaces for those who might need them. We are very grateful to the Argos for taking our community’s needs into account and for giving back to our organization. When you buy a ticket for this event, be sure to use promo code: AUTISMCANADA to get your reduced ticket price and to generate a donation for Autism Canada. It’s a win-win situation! Tickets start at just $19 including HST and fees. If you’ve never been to an Argos game before, now’s your chance! Why not come out to the Shipyard pre-game party. It starts 3 hours before the game. 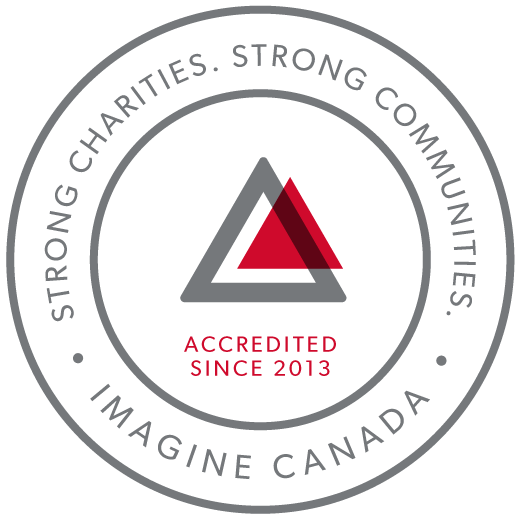 It’s a great opportunity to learn more about Autism Canada. Let’s Pull Together this October for Autism Awareness and Acceptance month! Use promo code AUTISMCANADA when purchasing tickets. Click here to get yours today!